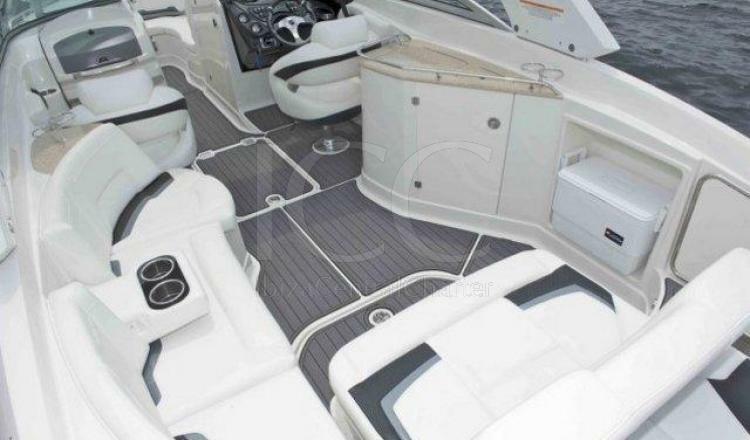 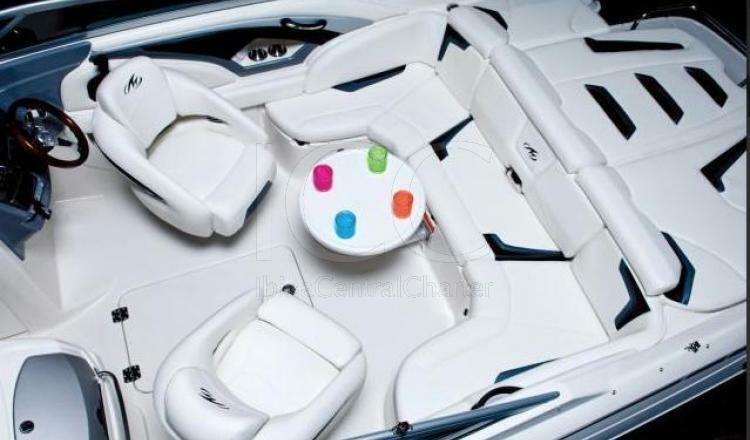 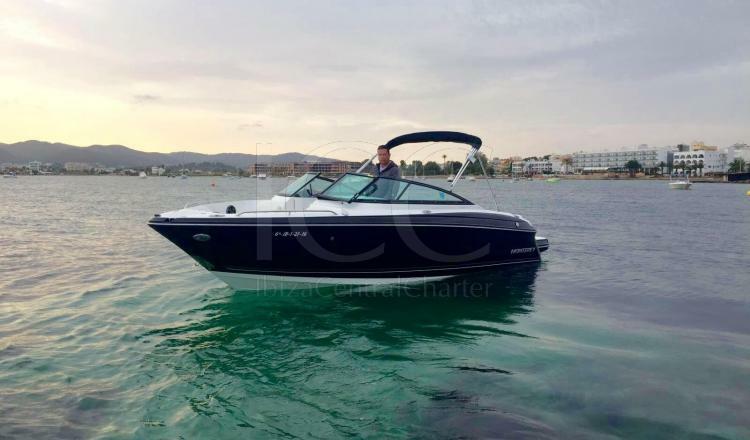 Monterey 244 FS motorboat is the ideal boat to visit Ibiza coasts or for do a trip to Formentera. 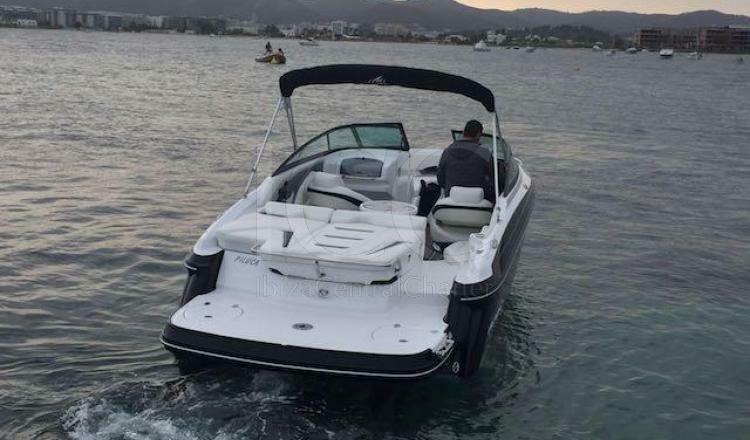 Monterey 244 FS motorboat is perfect for spending a day in the Mediterranean sea and enjoying Ibiza beaches without people around you, great choice for a relax day. 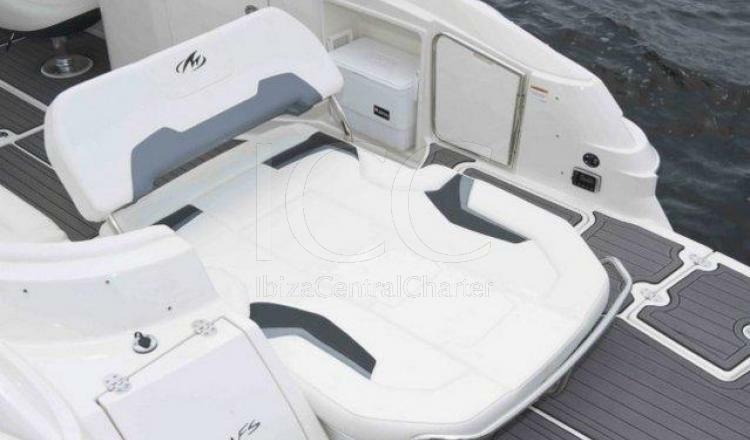 Having a length of more than 7 meters this boat offers you the opportunity to discover Ibiza or Formentera accompanied by a total of 7 friends, sunbathing in their bow or stern solarium, having lunch in their cockpit and getting an unforgettable moment when getting into the water thanks to its swimming platform. 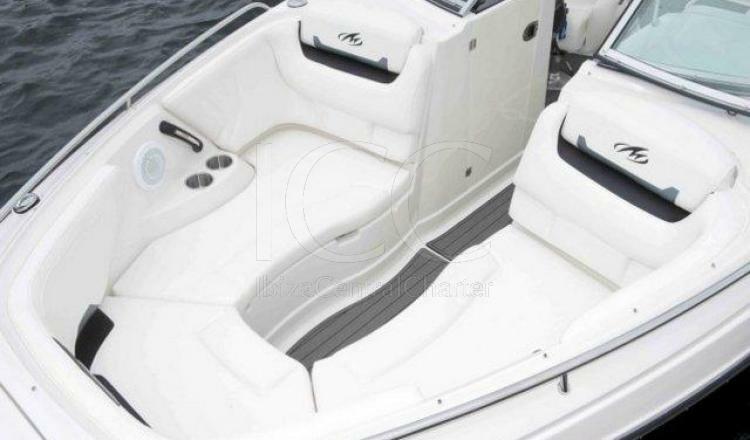 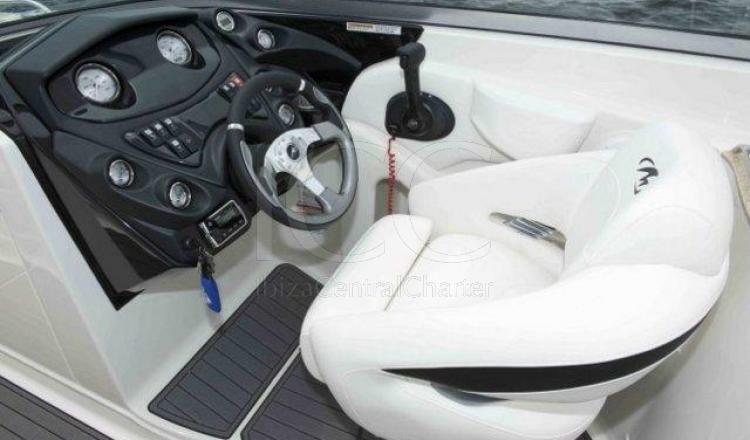 Being a comfortable motorboat has a toilet, outdoor shower and bathing ladder as well as an bimini to protect the sun in the hottest hours of the day. 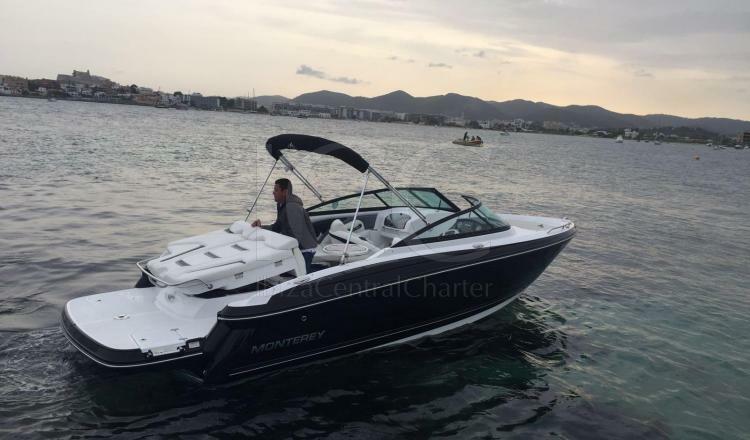 The Monterey 244 FS gives you the opportunity to go sailing with skipper or if you have the minimum qualification PER or equivalent of being able to sail independently.